Pet insurance is becoming increasingly popular, but is it worth it? In this blog, we look at the pros and cons and explain how pet insurance works. It was a Sunday and Kylie was taking her two dogs, Molly and Harry, for a walk at the local dog park. The dogs were happily playing together when, in a freak accident, Molly, an energetic Golden Retriever-cross, impaled herself on a sharp tree branch that had fallen to the ground. Kylie and her husband rushed Molly to an emergency animal clinic where the vet recommended immediate surgery. The vet advised them that the surgery would cost about $1800, but should he discover that Molly’s abdomen had been punctured, she would also need intravenous antibiotics and monitoring that may cost up to another $1000. No pet owner wants to be faced with a life or death question based on affordability. However, given that there are an estimated 24 million pets in Australia, it’s a situation faced by a significant number of pet owners every day. The average dog owner spends nearly $400 a year on vet bills. Yet an emergency vet visit can rack up thousands of dollars in the first 24 hours alone. What’s more, animal treatments and diagnostic options have become more advanced and, subsequently, more expensive. It’s no wonder, then, that pet insurance is increasingly finding its way into household budgets. Just like human health insurance, with pet insurance you pay a monthly, fortnightly or annual premium that allows you to claim a proportion of your pet’s vet expenses. Most pet insurers provide optional levels of cover: 1) accident, 2) accident and illness, and 3) accident, illness and routine care. You may also elect to pay an excess (an amount deducted from your claim) to reduce your premium. The cost of coverage will also be impacted by the age of your dog or cat, and some insurers will take the pet’s breed into account. If you are buying a new pet such as a puppy, it’s best to get pet insurance as soon as you can. It will work out to be cheaper and your puppy will be less likely to have any pre-existing conditions. If you choose to get pet insurance later on, you will need to get a report from your vet and this could make the pet insurance more expensive. Some pet insurance policies offer claims based on a schedule of fees for specific treatments. Be careful and do your research as some of these schedules significantly understate the cost of treatment. More commonly, insurers cover 70 to 90 percent of your included vet bills. Again, read the fine print because some insurers specify exclusions, such as cancer treatment or tooth removal. For a one-year old dog, accident-only cover starts at about $20 a month and goes up to around $60 a month for accident, illness and routine care, with claims capped at between $8000 to $10,000 per year. 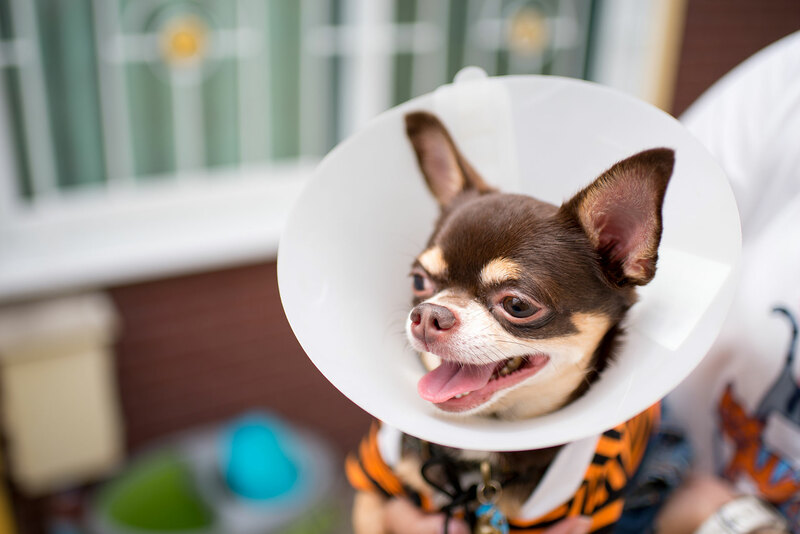 Canstar has a handy list of pet insurers that compares providers, plans and prices. Some of Canstar’s five-star pet insurance providers include Petbarn Pet Insurance, 1300 Insurance, Bupa, Petmed and ProSure. It’s worthwhile to shop around. Look into companies you already have insurance with, like health insurance. These companies may offer pet insurance and you may be able to negotiate a good plan. What are the pros of pet insurance? If you don’t have an emergency savings fund containing at least a few thousand dollars, pet insurance may be a good way to protect yourself from vet bill stress. Insurance, after all, is a form of savings and investment that protects you from unforeseen circumstances. With pet insurance, there are no “in network” requirements—you can go to any registered vet of your choice for treatment. Pet insurance may allow you to keep your pet in better health because you can afford more expensive treatment options. Pet insurance may save you from making a life or death decision about your pet based on your financial position. What are the cons of pet insurance? Pet insurance works on a refund basis, which means you’re out of pocket between paying the vet bill and having your claim paid. There may be a waiting period from a few days to a few weeks. Pet insurance covers only a proportion of your vet bills, which means that you still need some emergency savings to fall back on. Specific treatments may also be excluded. As your pet gets older, your premiums will increase and can jump up quickly. But, by the same token, the chance of your pet needing treatment will also increase. And what about Molly? Luckily, Kylie had an emergency fund and was able to afford the surgery without hesitation. More luckily, Molly’s abdominal cavity was intact which meant that intravenous antibiotics weren’t needed. She made a full recovery and was back to her usual, boisterous behavior in no time! We’d love to hear from readers who have pet insurance. Which company are you with? Do you find it easy and quick to claim? What do you recommend to other pet owners? If you don’t have a plan for pet insurance in your budget and would like one, please give us a call on 1300 300 922 to speak to a caring money management expert who will put together a customised budget plan for you. Remember, we’re always here to help!